Eating less meat is one simple way you and your community can significantly reduce your carbon footprint. Did you know that if everyone in the U.S. ate no meat or cheese just one day a week, it would be like not driving 91 billion miles � or taking 7.6 million cars off the road? By eating less meat, especially from livestock raised in concentrated animal feedlot operations, you can help reduce the use of fossil fuels and greenhouse gas emissions generated by our industrial food system. 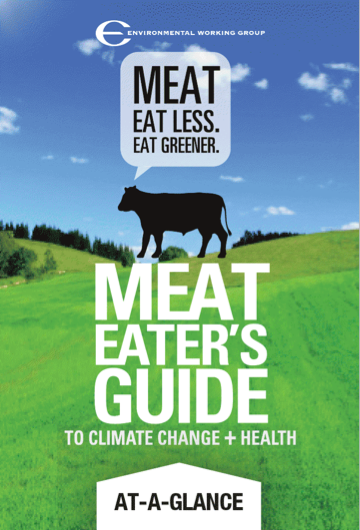 Reducing meat consumption helps the environment in other ways including a reduction in the use of water, and the use of toxic pesticides used to raise the corn and soybeans fed to livestock. Learn more at the Environmental Working Group.